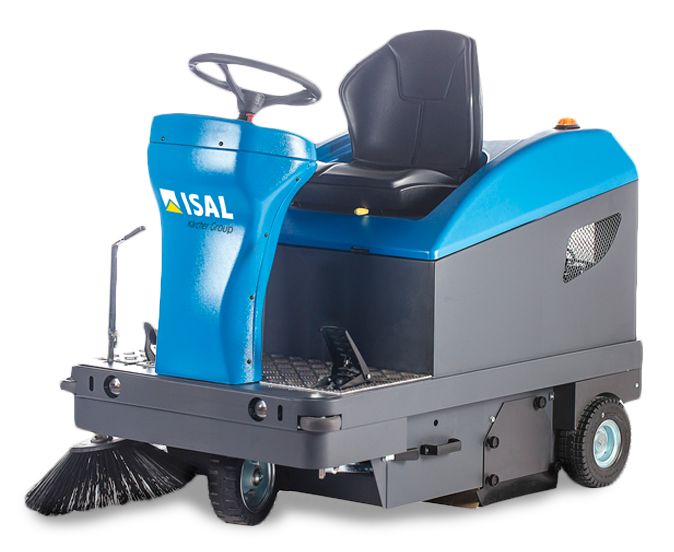 2017 sees the return of one of the Isal great success stories: the 110, the industrial sweeper that made history for our company has been renewed and improved, and will be shown for the first time at the Pulire Trade Fair in Verona, Italy. 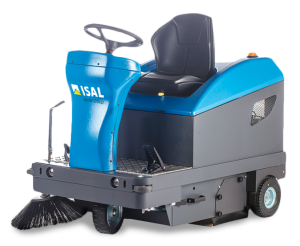 The new 110 concentrates, in one machine, all the winning features of two other Isal sweeper models, the 106 and 111, creating the perfect mix of maneuverability, reliability and efficiency. One of the immediately visible and new implementations on the updated 110 is the ergonomic driver control: the handlebars of the 106 have been replaced by a practical and comfortable steering wheel that allows the operator to maneuver the machine easily even in tight spaces. Indeed, the new 110 is compact and can easily move inside all warehouses types. The sweeping system with central brush and side brushes is well suited for use in difficult industrial environments, both indoor and outdoor. Thanks to the new “no tools” brush replacement system, the operator is facilitated in normal maintenance procedures. The waste container is divided into two sections to lighten the weight without affecting collection capacity. The new 110 will come out in two versions: the electric version with batteries that, thanks to an electronic transmission control system, guarantees long working autonomy. It is silent and easy to maneuver. 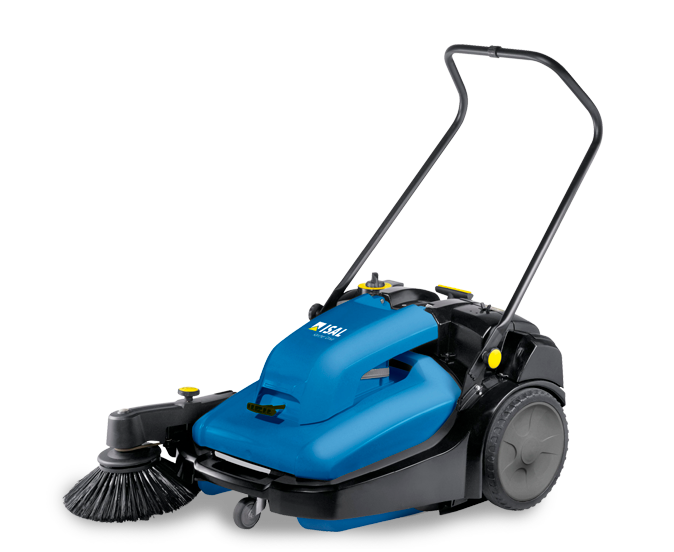 The gasoline version is ideal for cleaning outdoor spaces and multi-floor garages because, thanks to the differential drive transmission on the rear wheels, it is possible to climb the ramps that connect one floor to the other.